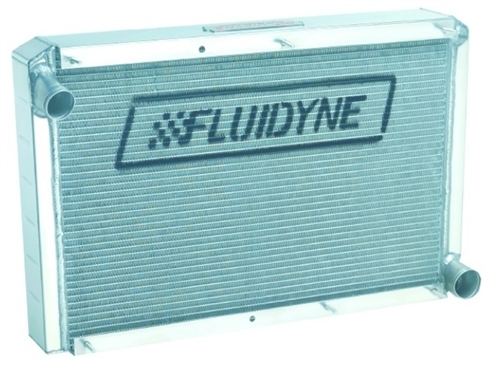 FLUIDYNE® Direct Fit Radiator HEMI Cars - IN STOCK NOW! Looking good is as important as going fast. 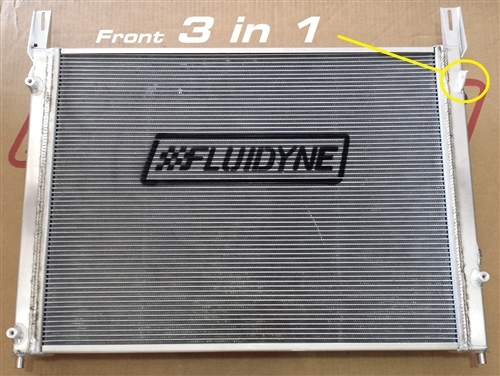 Replacing your stock HEMI radiator with a FLUIDYNE polished, all-aluminum radiator will enhance your HEMI engine compartment and score points with the judges... or whoever! Whether your look is chromed, anodized or color-matched, our radiators will make the view under your hood "Racey and High-Tech" as well as keeping all those horses cooler! 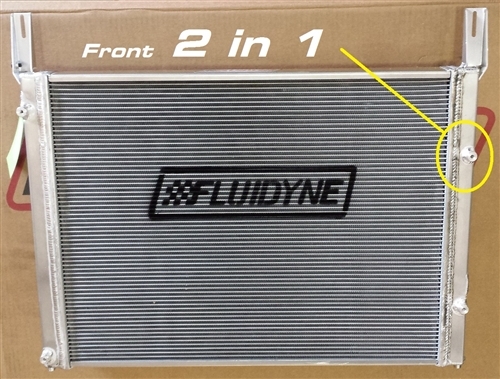 FLUIDYNE® has coupled its racing technology with street smarts to develop the optimum "Direct-Fit" all-aluminum radiators for these special breed of vehicles. 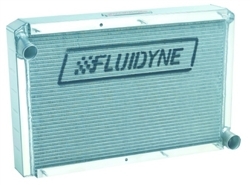 FLUIDYNE radiators feature CAB-brazed (no epoxy) core construction, polished aluminum tanks and durable high efficiency air fins for maximum cooling capability across the full range of city, highway and road course driving. NOTE: In order to make sure that you receive the correct radiator for your vehicle, you will need to determine before ordering whether your car has a 2-in-1 or a 3-in-1 A/C Condenser setup. Most cars older than 2010 have a 2-in-1 A/C Condenser with an entirely separate power steering cooler. Newer cars many times have the power steering cooler built into the A/C Condenser. There is no set date or body style that allows you to designate which setup your vehicle has. 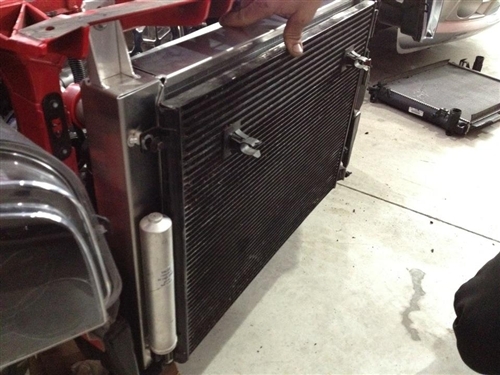 You will need to look and determine exactly which radiator will fit your vehicle. Please call for more details.